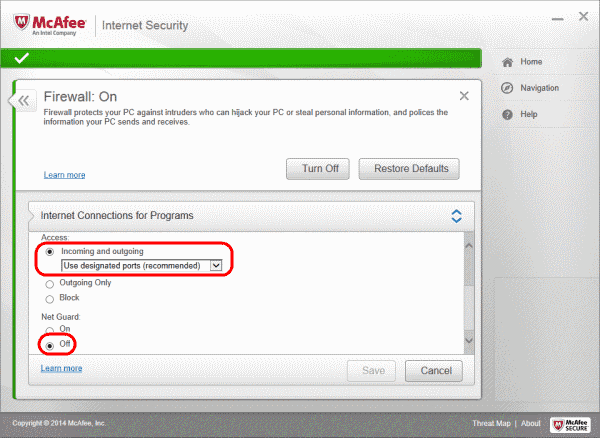 Is McAfee Personal Firewall blocking a program from accessing the Internet? You may want to unblock applications such as your chat programs, email clients, or video games to access the Internet. Here’s where to find the setting to enable applications to connect to the Internet. The tutorial is based on version 13.6 of McAfee Internet Security. 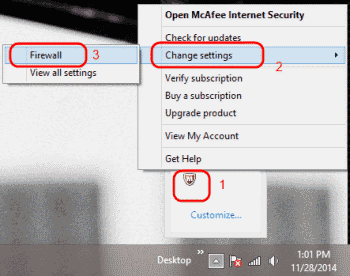 Right-click the McAfee logo in the Windows Taskbar down the the time, then select “Change Settings” > “Firewall“. Select the “Internet Connections for Programs” option. Choose the program you wish to allow access, then select “Edit“. If the program is not listed, select the “Add” button, then select “Browse” to choose the application. In the “Access” section, select “Incoming and outgoing” to allow both incoming and outgoing traffic to the applications. Otherwise select “Outgoing Only” to allow only outbound traffic. For the drop-down menu “Use designated ports” should be sufficient to work with most apps. Otherwise, you can select “Open ports to Home and Work networks“, or “Open to all devices“. There is also a “Net Guard” section. This setting can block some traffic on certain apps. If you have problems with the application after setting all the items above, you may want to set “Net Guard” to “Off“. You’re set! The application should now be allowed to access the network through the firewall. It’s a layer of protection that McAfee provides where it monitors the connection and validates it against trusted IP address info. It has been known to cause problems with some applications. Sounds like you have some kind of Malware running. 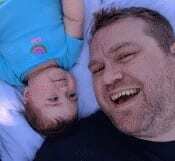 I would do a scan with Malwarebytes. I purchased Norton protection with my new DELL however the McAfee pop ups keep showing up and now it is blocking a site containing work bills/invoices. I’m not sure how to get around it. The instructions above do not appear to work as I don’t actually have McAfee installed. There is an option on the warning to accept the risk – however this does not work. Could this all be just a scam invoice (although it is due and I need to pay to keep the manufacturing of our products going). Any help would be appreciated. Hi, I tried doing this, and no matter how much I right-click on it, it will not open at all. Please do help, because this stupid thing is preventing my Steam from connecting to the internet, and it won’t even let me uninstall the internet security. Says it “can’t connect to the web” when I try to. If you didn’t make any changes, the save button will not be active. When I press save it won’t let me, I have to press cancel. Is this a work computer? I’m thinking maybe your system admins have it locked down. I cant press the save button, when i try to nothing happens at all.